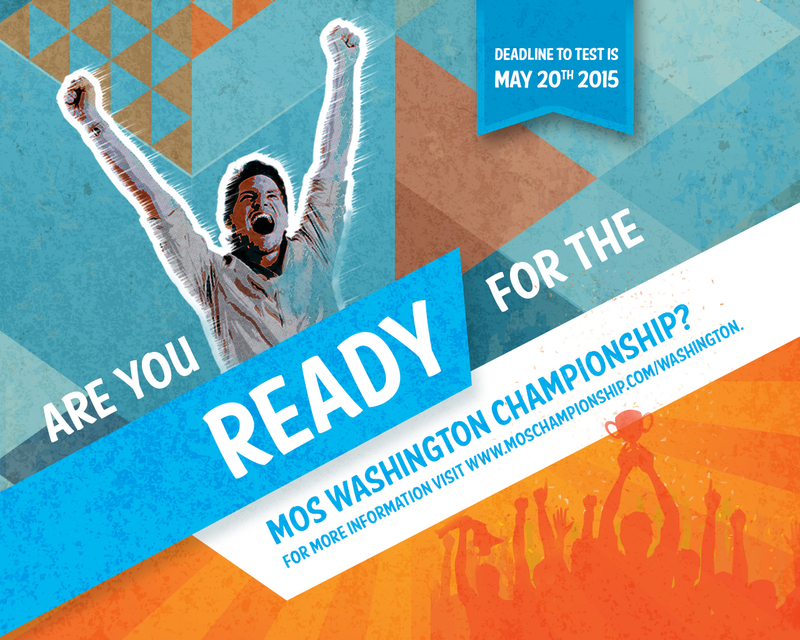 Announcing the 2015 MOS Washington State Championship! 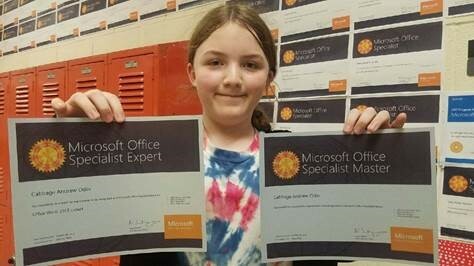 CCI Learning and the Washington State Office of Superintendent of Public Instruction (OSPI) are excited to announce the launch of the 2015 Microsoft Office Specialist Washington State Championship! Competitors from Washington State will showcase their expert skills using Microsoft Office Word, Excel, and PowerPoint for a chance to represent Washington State at the 2015 Microsoft Office Specialist U.S. National Championship in Orlando, Florida on June 18-20, 2015. 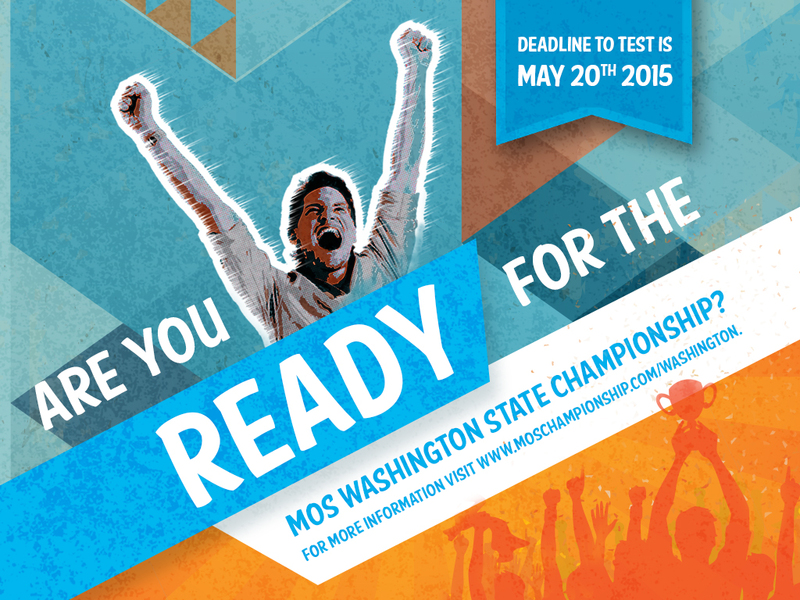 The student who submits the highest passing score will be named the 2015 MOS Washington State Champion in their exam track. 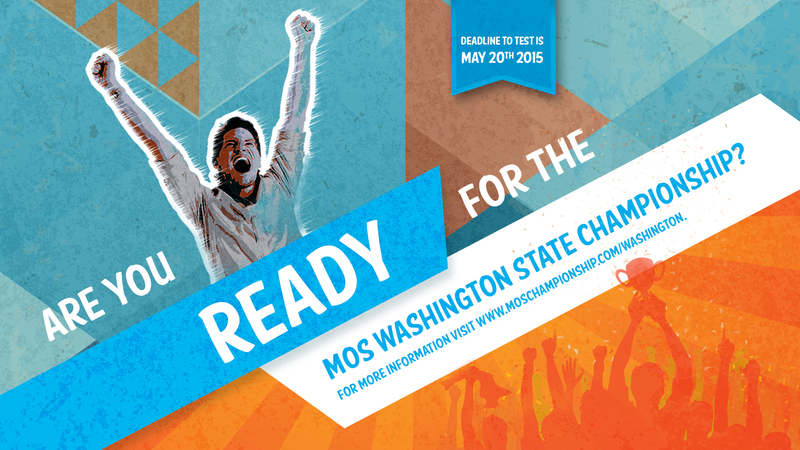 All previous exam scores during the 2014-15 school year will be factored into the MOS State Championship rankings. In the case that two or more students submit the same high score, the exam time will be used as a tie-breaker (the exam taken in the least amount of time will win). Students can and are encouraged to retake their MOS exam(s) to improve their score and time. 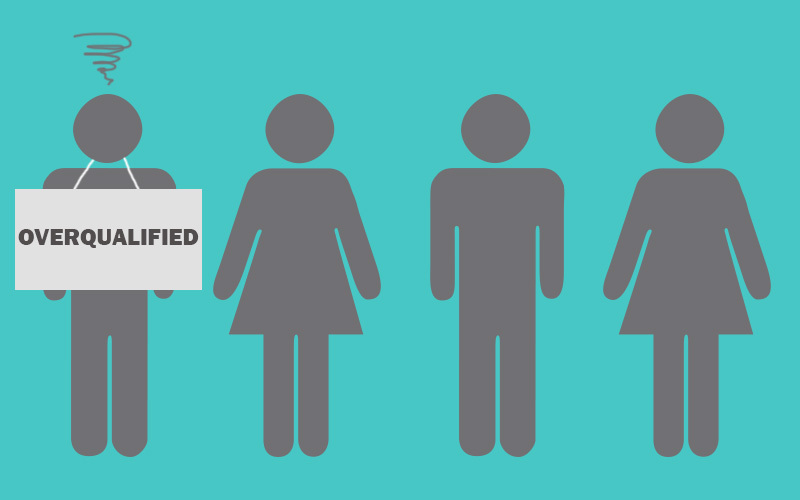 There is no limit to the number of times a student may take an eligible MOS exam, regardless of the pass/fail outcome, as long as the student is not in violation of the exam retake policy. During the month of May, the respective state champions will be announced, awards will be dispersed, and invitations will be extended to participate in the MOS U.S. National Championship in Orlando, Florida, June 18-20, 2015. In the event that the designated state champion is unable to attend the MOS U.S. National Championship, the second place winner will be contacted and extended the invitation to participate. If the second place winner is unable to attend, the third place winner would be contacted and so forth until a representative is determined. The awarded prizes, with the exception of the travel sponsorship*, would remain with their initial recipient. In addition to the MOS State Championship specific rules, the MOS World Championship rules also apply. We have created some resources to help you promote the competition within your school, to your students, and to the guidance counselors and parents. Click on the links below to view and save the resources. For additional information about the MOS U.S. National Championship, please visit MOSchampionship.com/US. Questions? Please contact CCI Learning at waschools@ccilearning.com or 800-668-1669. 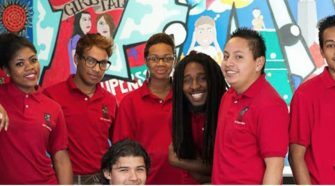 Additional information for Washington schools can be found at http://waschools.ccilearning.com/. *Microsoft and Certiport have partnered on a travel sponsorship for the state champions in MOS 2013. This sponsorship covers the airfare for these state champions, and their selected chaperon (up to $500 per person), to attend the 2015 MOS U.S. National Championship in Orlando, Florida on June 18-20, 2015. Flight arrangements will be made by Certiport directly with the state champion and their chaperon. Hotel expenses will be the responsibility of the state champions. 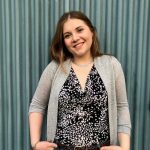 In the event that the designated state champion is unable to attend the MOS U.S. National Championship, the second place winner will be invited to participate (and so forth until a representative is determined) and receive the travel sponsorship. 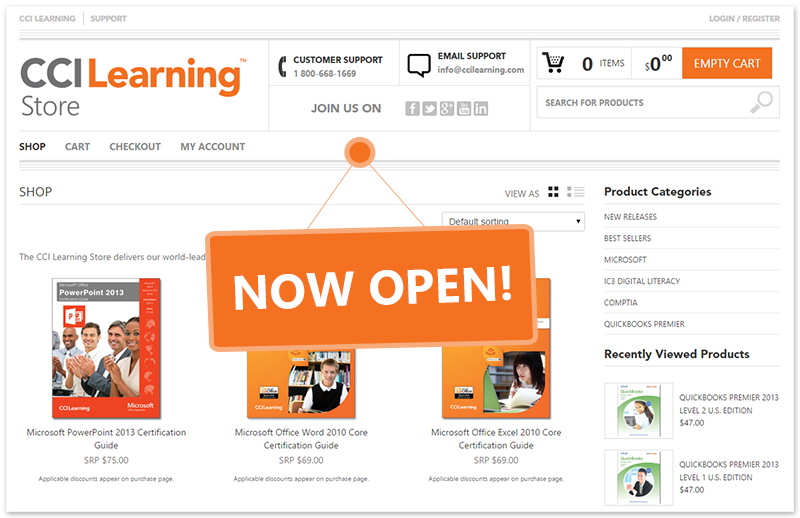 Introducing the New and Improved CCI Learning Store!